A big beauty trend for fall is dark, vampy, lip color. I don’t have very many dark shades in my lip color collection so I went on the hunt for the perfect shade for me. When looking for a color, I didn’t want anything too dark since I am used to wearing pinks, and lighter shades, but I definitely wanted it to make a statement. I went with Kat Von D’s liquid lipstick (one of my favorites) in Vampira. It looks really dark in the tube but when you apply it to your lips, you can build it up from a berry shade to a deep burgundy. It’s also long lasting which is what I want from a darker lip color. When wearing such a dark lip color, I like to keep my eye makeup simple with winged liner and just a neutral brown shade on the crease for some definition. 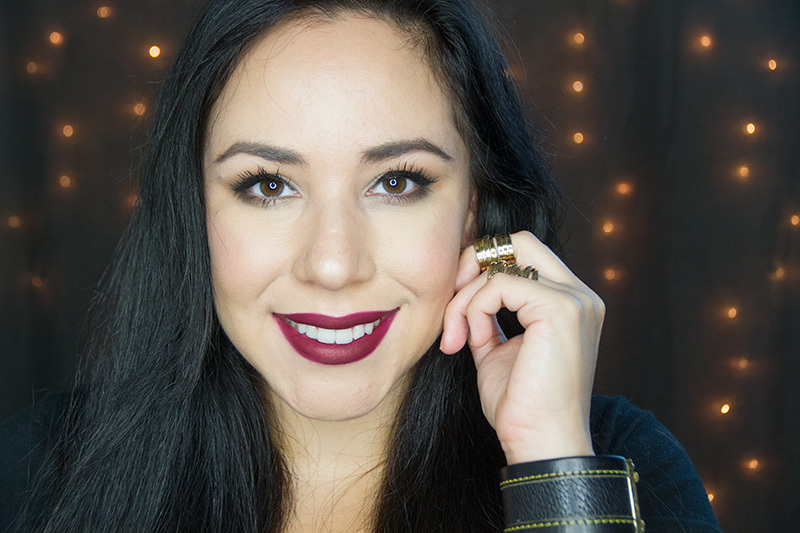 Watch the video below to see how I got this simple fall look and vampy lips.